I don’t know about you but I find it easier praying for someone or a particular situation where there is a clear and specific need. When things are going well, I either forget to pray or I am not quite sure how to pray! It feels similar to the dilemma of trying to decide what present to buy for your mum and dad as they got older? What do you buy for someone that seems to have all they need? Reading Paul’s prayer for the believers in the Ephesus region gives you the impression that he doesn’t seem to have the same problem I have! From reading the text it seems that Paul is touched by the way the community of God is prospering, they have a notable level of faith and a marked love for each other. Things seem to be going really well. So, how do you pray when things are going well? 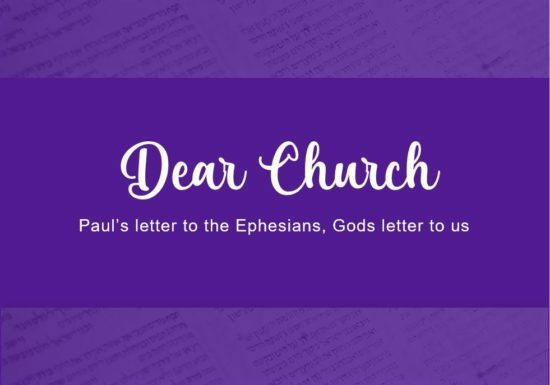 Paul prays for three main things. He prays for revelation. Why? He wants them to grow even more in their knowledge of God. He prays for light, he wants their hearts to be enlightened as to the true hope of the gospel and he prays for them to know and experience the resurrection power of God. Sounds like a plan! Revelation starts the Christians journey. Revelation is also the fuel for that journey and must ever remain our pursuit. Darkness always masquerades as light and entices us to put our faith in false hopes and dreams. Our hearts will ever need the true light of Christ, enlightening our hearts to the real and true hope found in Christ. Lastly, in a world beguiled by human wisdom, power and accomplishment we need a fresh understanding and manifestation of the resurrection power of God. So, in praying for our church family, let us pray for us all to have a growing revelation of Christ, greater light to see the hope that we have in the gospel and a dynamic manifestation of the resurrection power of God!